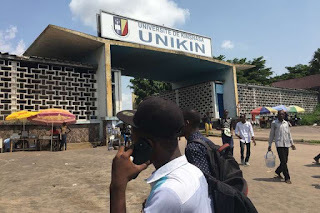 The University of Kinshasa has been experiencing a very intense tensions today. This morning, the students arrived at the university with the objective of protesting against the payment rate set by the University. In fact the officials are paid at a rate of $58 and yet the University sets a rate of $100 but based on what? * They forget that these officials are our parents and it is thanks to them that we pay our academic fees. This is why the students wanted to protest against this. 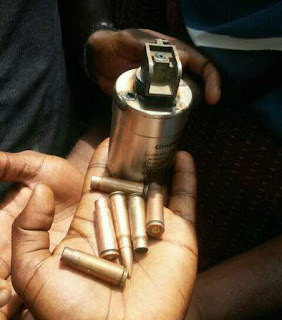 Unfortunately, as we are in a state where freedom of expression is violated, the university has become a war zone with uniformed men everywhere, launching tear gas and firing bullets into the students' homes. What are the consequences? several wounded, property losses and even arrests. We deplore such behavior on the part of the university and the state in an academic environment. Leaders must know that we are in our rights to protest. *The crux of the problem is that the rate hikes only apply to students who pay in Congolese francs, which is mostly everyone. Those students who pay in American dollars do not have to pay the higher $100 fee, they only pay $58 for their school fees. This is a concrete example of how poor economic performance and the volatility of the Congolese franc have had a direct impact on students. Other sectors such as teachers, nurses, doctors, etc have all experienced similar challenges due to the weakness of the franc against the US dollar. l’Université de Kinshasa vit depuis cet avant midi une tension tres intense. Ce matin, les étudiants sont arrivés à l’université avec objectif de protester contre le taux de payement fixé par l’Université. En effect les fonctionnaires sont payé avec un taux de 92000 franc congolais et pourtant l’Université fixe un taux de 160.000 franc congolais, sur base de quoi? Ils oublient que ces fonctionnaires sont nos parents et c’est grace à eux que nous payons nos frais académiques. C’est pourquoi les étudiants ont voulus protester contre cela. Malheureusement comme nous sommes dans un État où la liberté d’expression est bafouée, l’Université s’est transformée en une guerre avec les hommes en uniforme partout jetant des gaz lacrymogènes, des coups de balles jusqu’à la résidence des étudiants. Conséquences: plusieurs blessés, plusieurs pertes des biens et même les arrestations. Nous déplorons un tel comportement dans les sites universitaires, les dirigeants doivent savoir que nous sommes dans nos droits.